Video interviewing has proven to be a great tool for improving the efficiency of a company’s hiring process. 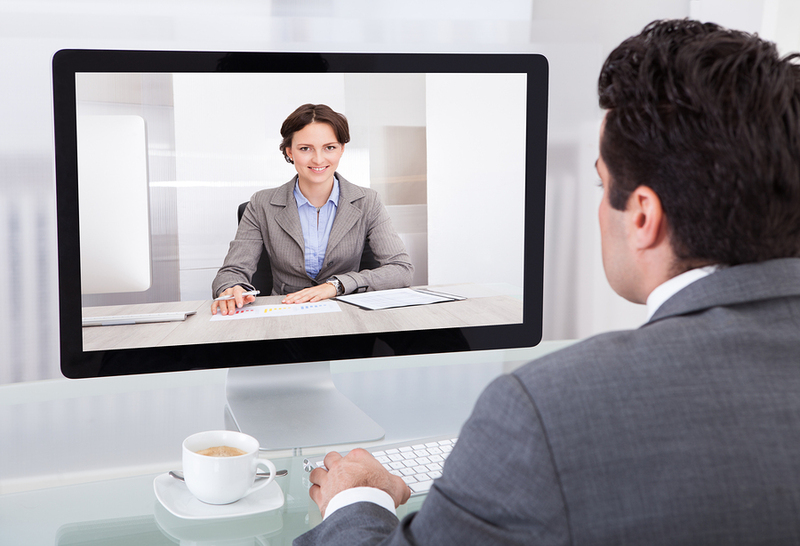 A 2012 survey by OfficeTeam shows that 6 out of 10 companies are using video interviews for hiring new employees. The Aberdeen Group found that 10% of companies used video as part of their hiring process in 2010. In 2011, they saw that number jump to 42% for senior executives, management and entry level job functions. However, there seems to be a misconception that video interviews can and should only be used to fill internships or entry level positions. This is far from true. Video interviewing can be a useful tool for screening and interviewing candidates no matter the type of position you are hiring for. We see this from our current 1,300+ customers who are interviewing for various positions at their companies. An individual who is applying for a senior executive position may already hold a high-ranking position at their current company. Thus, their schedule may be quite full and they just don’t have the time to put their work on hold to travel to another office for an interview. This is where video interviewing comes to save the day. With developments in computers, cell phones, and tablets happening every day, the number of people who have access to high quality recording devices increases. This allows job candidates to complete video interviews without the hassle of having to rearrange plans due to prior commitments to their family or current work schedule. Senior executive job candidates are also made more accessible to employers with video interviewing regardless of their geographic location. A senior executive job candidate from Boston applying for a position with a Los Angeles company has an equal chance of getting the position as a local candidate because video interviewing levels the playing field. Furthermore, the candidate doesn’t have to deal with the inconvenience and expense of traveling, but are still able to show what they have to offer. Video interviewing also saves the employer from having to spend money on travel and lodging accommodations. Everyone wins! Video interviewing, such as Spark Hire’s One-Way Interview, gives senior executive job candidates the flexibility to interview on the go and at their own convenience. They are able to record their answers to employers’ questions via their webcam or mobile devices when they have time to spare in their busy day. Employers then review that video at their own convenience and can quickly decide if the candidate is worth pursuing. Perhaps an employer looking to fill a top level position decides to hire within their company. In this case, they can invite possible candidates to do a One-Way Interview. They are then able to weed through the candidates quickly and decide if they should look into searching around the country or even the globe for candidates. For this situation, the Live Interview is the perfect tool. The candidate and employer can speak face-to-face via webcam, and, again, there are no hassles of scheduling and travel. Live Interviews enable employers to pick up on a candidate’s important nonverbal cues even when they’re not in the same room. Considering an alternative hiring situation, the employer might feel a prospective candidate could be a good fit, but aren’t ready for an in-person meeting just yet. The employer can use a Live Interview to determine whether a candidate is worth inviting into the office. Additionally, Spark Hire’s Live Interview is always recorded so employers are able to playback the video later on as many times as they want. They also have the opportunity to share the recorded interview with colleagues who are also involved in hiring. Hiring for a senior level position may require a search team. Having the ability to share completed interviews allows for greater collaboration and efficiency. Everyone is on the same page and can make a decision about a candidate quickly. Since 2011, the use of video interviewing has risen 49% and in 2012 a survey put out by OfficeTeam found that 63% of human resource managers use or have used video interviewing in their hiring process. This affirms the value and advantages of utilizing video interviews. It would be silly then to only use video interviewing for just certain positions and not others. 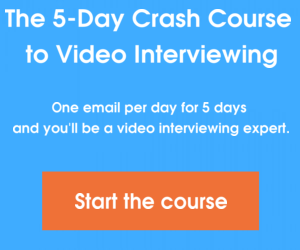 Have you been using video interviews to fill senior executive positions? Or were you a senior executive job candidate who used video interviewing? Let us know in the comments below.